Sheryl Vazquez, 34. MPD photo. 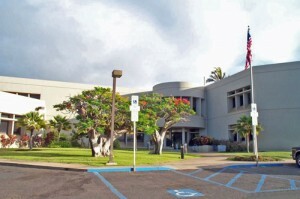 Maui police arrested a woman today who fell through the ceiling of the Kihei Police Station and landed on the floor of the prisoner processing room. 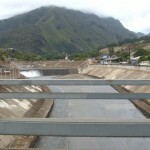 The incident was reported at 12:07 p.m. on Monday, Jan. 28, at the facility located at 1881 South Kihei Road in South Maui. 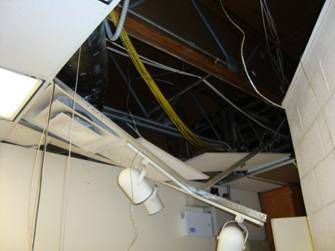 Maui Police Lt. Wayne Ibarra said Sheryl Vazquez, 34, was detained by officers after she fell through the rafters above the station, and broke through the ceiling of the facility. Police say Vazquez was placed under arrest for criminal property damage, criminal trespass, criminal tampering (all in the second degree), as well as disorderly conduct. Vazquez did not complain of pain, nor were any injuries observed, said Lt. Ibarra. 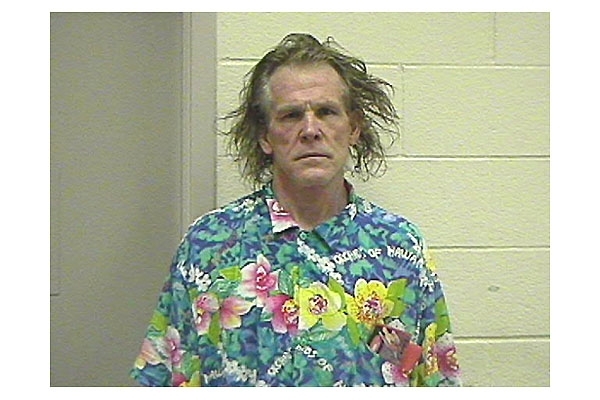 A preliminary police investigation revealed that the woman had possibly gained entrance into the crawl space above the ceiling from somewhere outside of the building. Maui Police say Vazquez caused damage to the ceiling area of the prisoner processing room and several other ceiling panels in different rooms within the building. An officer with the newly launched Maui Police Department Crisis Intervention Team, who is specially trained in dealing with mentally ill people, was at the Kihei station and contacted Vasquez before transporting her to the Maui Memorial Medical Center for evaluation. 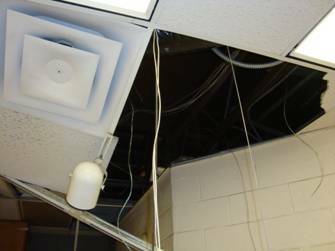 Damage to ceiling panel, lighting, and wiring of the prisoner processing room. Courtesy photo. 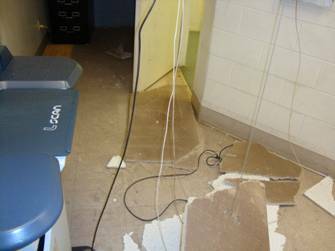 Damaged ceiling panels and wiring of the prisoner processing room. Courtesy photo. Damage to ceiling of the prisoner processing room. Courtesy photo. 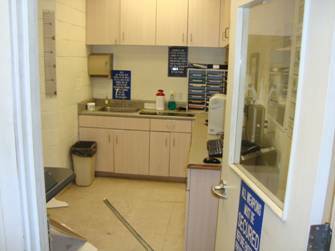 Kihei substation prisoner processing room damage. Courtesy photo.